This app allows the user to control the total number of items that can be added to the cart and the number of items that can be added per line item. Cart Item Limit could be downloaded from our site and installed using the default joomla installer. 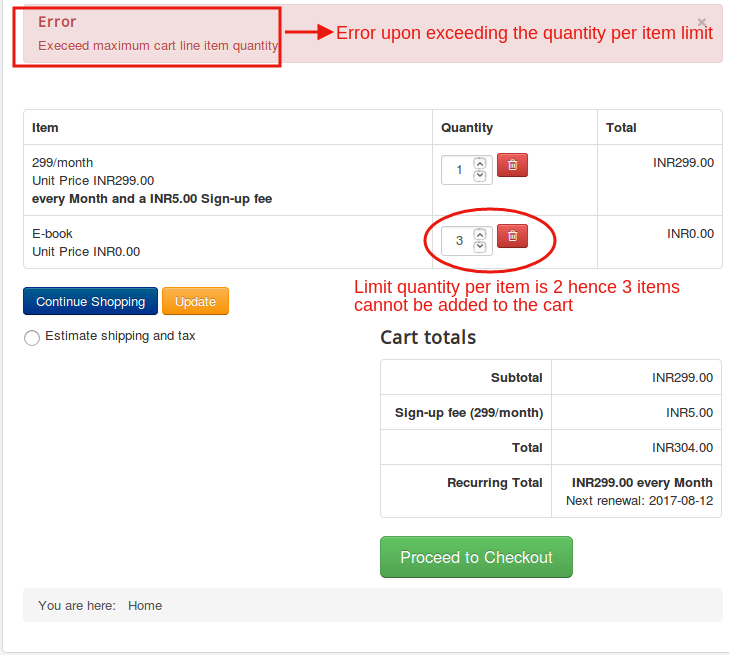 Click Enable under "Cart item limit". Click Open to Configure the settings. 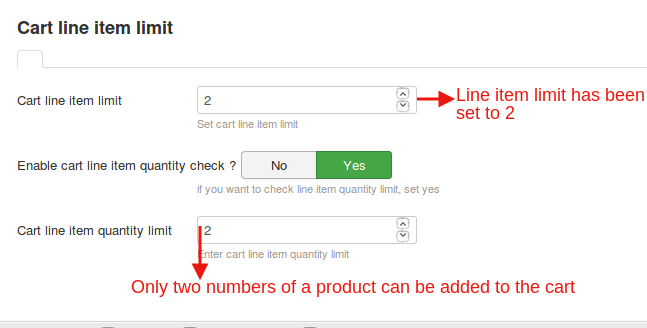 Cart line item limitSet the line item limit(For example:If you set the limit to 2,only 2 products can be added to the cart). Enable cart line item quantity checkSetting this to Yes will allow a restriction on the number of items that can be added per product.NOTE:If this is set to YES, then the Cart line item quantity limit has to be provided. 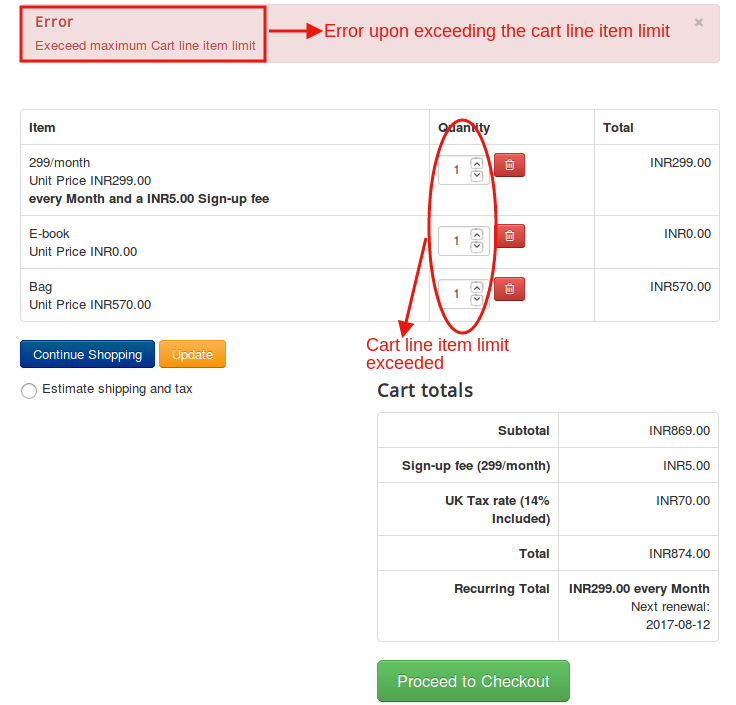 Set the number of items to be added per product(For example:If this is set to three only 3 numbers of a product can be placed in the cart).